I wouldn't call this a jungle themed birthday cake though it is actually modified version of my previous jungle themed birthday cake for children. Why? Because Goofy is here! :) And, this cake is meant for an adult. 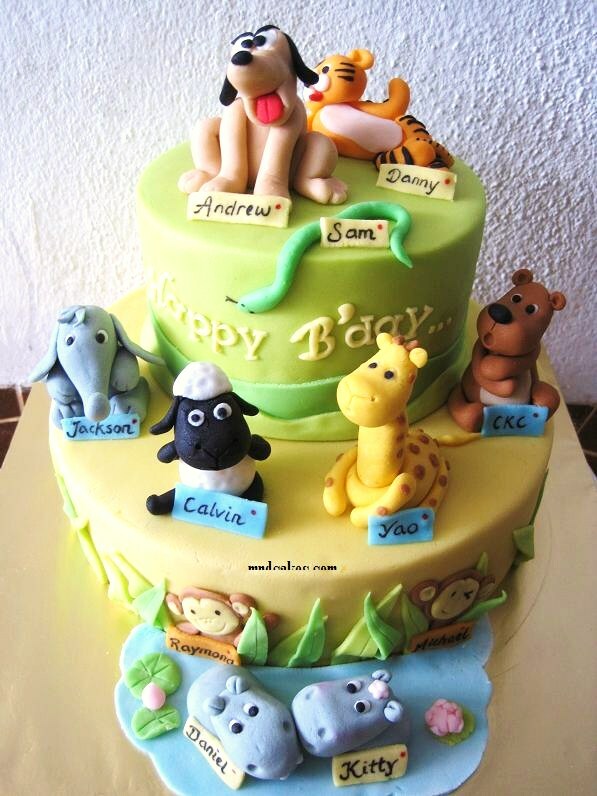 It's a 2-tiered cake full of animal characters with the name of whom each animal represents stated. They are a group of chefs in real life actually. 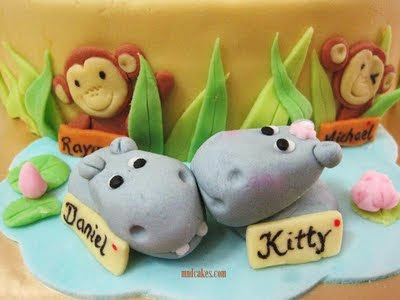 A pair of hippo couple are happily bathing together whilst 2 monkeys are peeping. Happy birthday to Andrew! 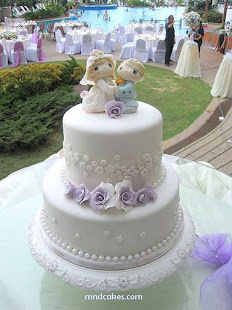 Hope you like the cake, it's a special gift from your good friend Calvin.